Have you discover a site that seems outdated and dull? Is it good or do you have the experience they weren’t really about your goals? As if your websites want freshened and spend less on assets for website redesign work with clear objectives prior to changing something. It’s necessary to think before taking your site’s look as well as features. 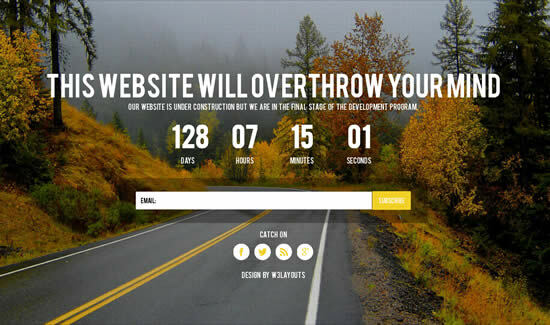 The marketplace of web design is evolving. Every day, you will find new concurrence and criteria. Nowadays, websites has to be SEO friendly, interesting, fun and user-friendly. 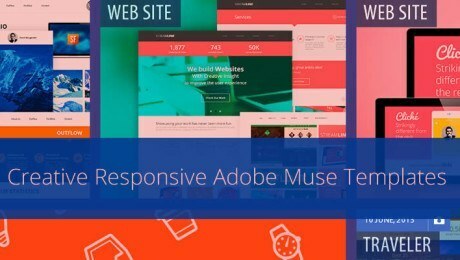 Even though it’s important to keep your self up to date towards trends of web design, however, look for a designer who understands how to develop search engine friendly theme. Ensure that they integrate a WordPress as CMS to allow you simple to control of your web development and will create a custom WordPress theme. Although the website could having said that Under Construction but not to be prepared for publishing to get perceived with the industry. In these types of conditions it is best to get a Just Around The Corner page for a getting ready before Establishing site. 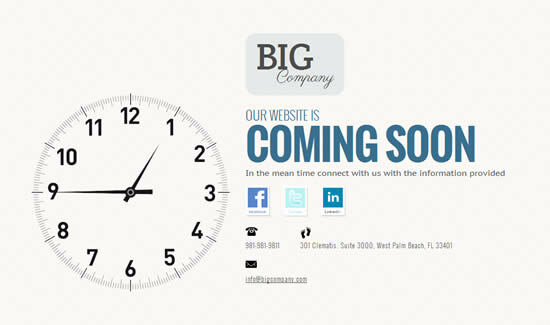 The coming soon page let the website visitor is influenced to read the content and know something about the company along with its services or products. The e-mail address should be provided so that folks get in touch with to the email address contact info. 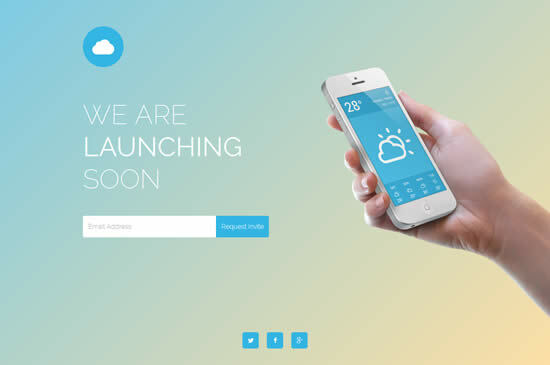 Alissa is a responsive free HTML template for coming soon page built with Twitter Bootstrap. It is with images slideshow, countdown timer, minimal and light design, AJAX email subscription form with form validation, and social icons. Take a look at the live demo and download it from the links below. 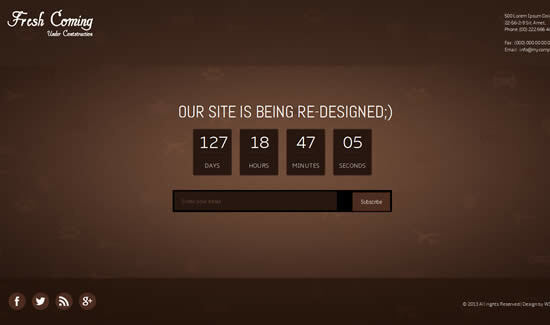 A very simple design for displaying your under construction page. 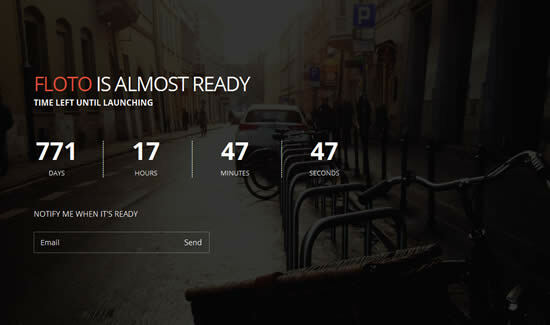 Soon is a HTML/CSS responsive under construction beautiful page with jQuery timer. 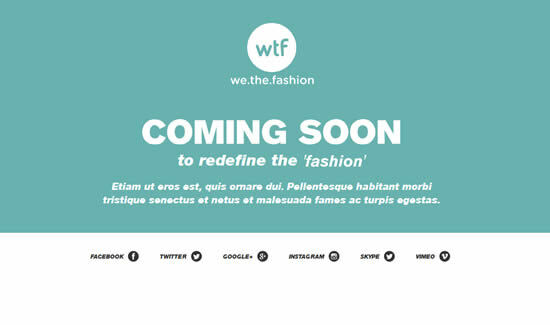 We the free coming soon template for fashion website. This corporate color coming soon page is a bit less design-minded and more marketing-focused with email subscribtion form. 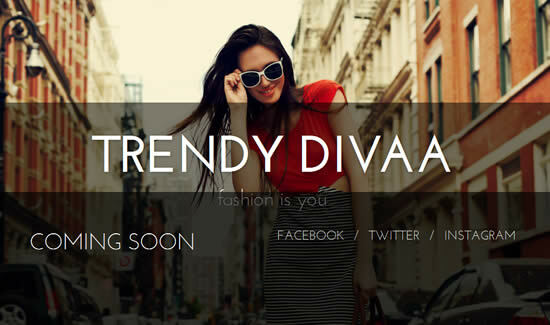 A fashion brand website coming soon page template with simple typography and social links. 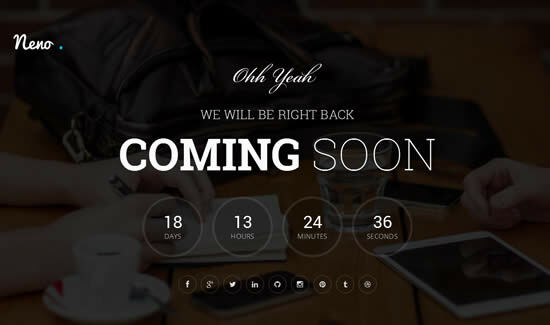 A dark color fresh coming soon free html template with jQuery count down timer and call to action email box button to allow new visitors next updates! Marliska Jeans comes with beautiful product photo as background image, beautiful typographic headline with text blurb on left side, and social button links. Just hit the live demo to look and download quickly from its detail page. 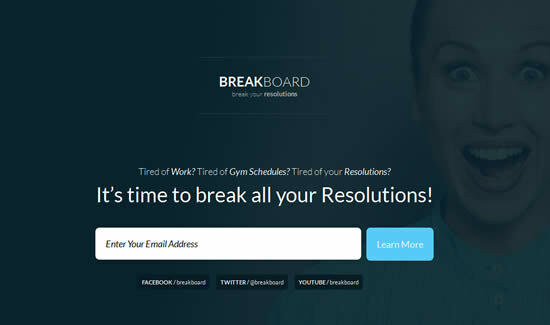 Breakboard is a simple coming soon page with email subscribtion call to action button after title heading on page to update visitors and let notify for latest. Best for use business sites. 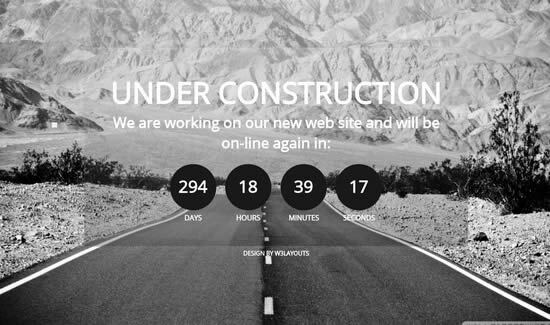 A beautiful page for under construction site with cool gradient background in header with logo branding and title heading, get nofified email subscribtion form with social icons on bottom to look minimalist look! 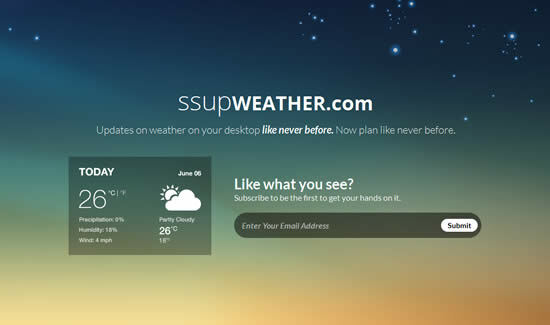 Updates on weather on your coming soon website page like never before. 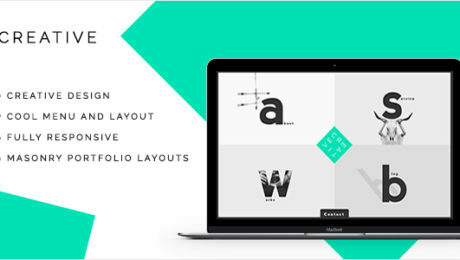 Construct is a fully responsive simple design html css based under construction page template. 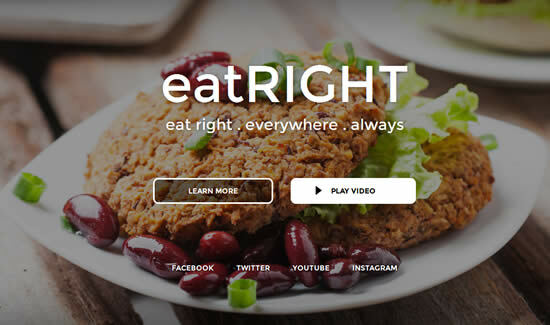 A restaurant and food website coming soon page. 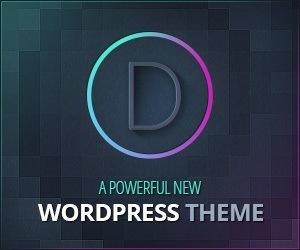 Elegant is a highly customizable HTML5 based Coming Soon, landing page designed using Bootstrap 3 framework, includes AJAX subscription and contact form, Wide spectrum of newest technologies such as Parallax effect, ScrollReveal, animated Twitter feed, AJAX forms, countdown timer and many background effects. A light and dark mobile app HTML5 & CSS3 coming soon template build on Bootstrap 3 with fully responsive layout, working contact form and mouse draggable, swipe enabled carousel. 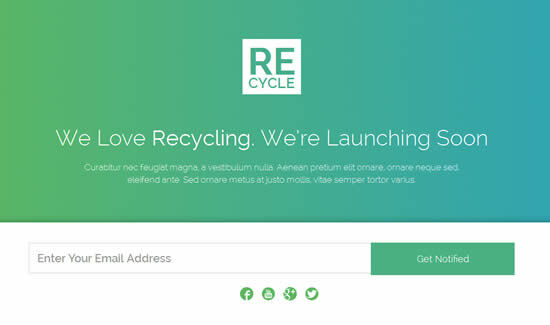 This template is contains many useful resources including an ajax subscription form, 15 Background style, ajax contact form, and some awesome icons. 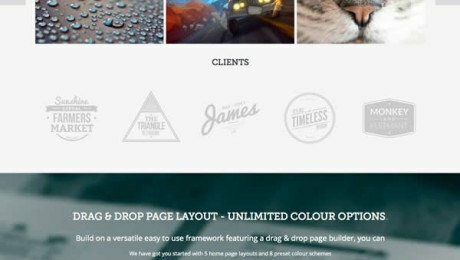 This creative and clean template best for any design studio. 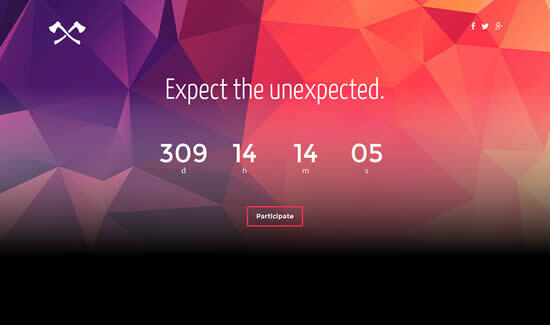 This beautiful coming soon template has a clean and modern design built with Bootstrap 3. Launchify comes with 9 different colour schemes including 3 gradient backgrounds and a image background version. Floto has clean animation and different backgrounds which are change by random. 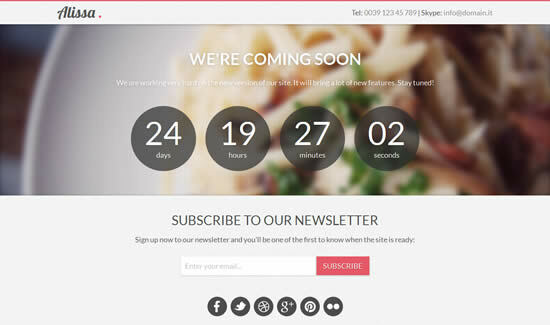 It is a minimal Coming Soon template coming with countdown and subscription form. 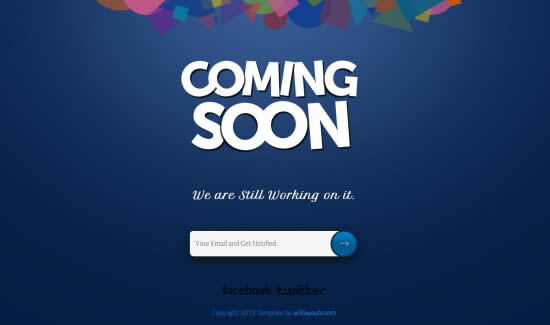 A customizable multipurpose coming soon template for minimalistic website theme. Neno is responsive and retina Ready with Fully managed Beautiful Landing Page. Neno is Fully Customizable, Quickly & Easy to Change the color of Complete Template. An unique template designed with a special scroll.